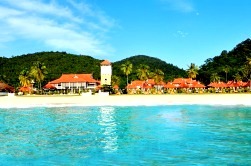 Aseania A fun-filled sun sea and sand expedition is about to begin with a simple step into Sari Pacifica Beach Resort & Spa Redang Island. The natural vivid greeneries of Pulau Redang offer a portal for nature lover to embark on a whole new and exciting vacation like no others. Address : Simpang Tiga, Jalan Pantai Tengah, Mukim Kedawang, 07100 Langkawi, Kedah, Malaysia. 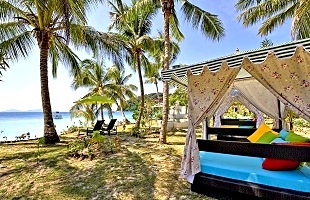 Aseania Resort & Spa Langkawi offers a fairytale-liked vacation for its visitors. Imagine the head over heels relationship between tourists and beaches that are never-ending; the continuous love and compassion that beaches deliver in terms of calm and peacefulness to whomever that travels by had successfully enhance the exclusivity of our resort that sits elegantly at Cenang Beach.